Ibrahim’s efficiency and ability to grasp complex issues when representing both privately funded and publicly funded (legal aid) clients in a broad range of criminal defence matters has meant that he has quickly become the head of the criminal department. 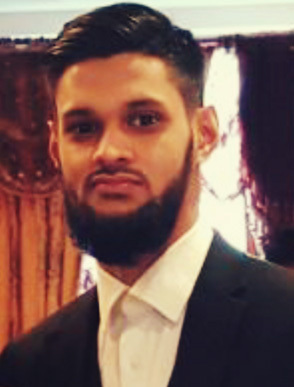 Ibrahim has built up substantial experience in crime covering the most complex and serious of offences including murder, GBH, sexual offences, fraud and drug related offences. Ibrahim also has extensive experience in dealing with criminal appeals and making applications to the CCRC including drafting complex grounds and submissions. Ibrahim is very approachable and prides himself on client care. He believes in going the extra mile for each client. His keen attention to detail, conscientious approach, coupled with his approachability has always made him a favourite amongst Clients. As a Bengali speaking Solicitor, Ibrahim works closely with the community and regularly deals with high profile political figures from Bangladesh. Ibrahim’s interests outside of work include football, snooker and travelling. Ibrahim graduated with first class hons in Bachelor of Law degree (LLB hons). He subsequently, completed his Legal Practice Course at the University of Law.